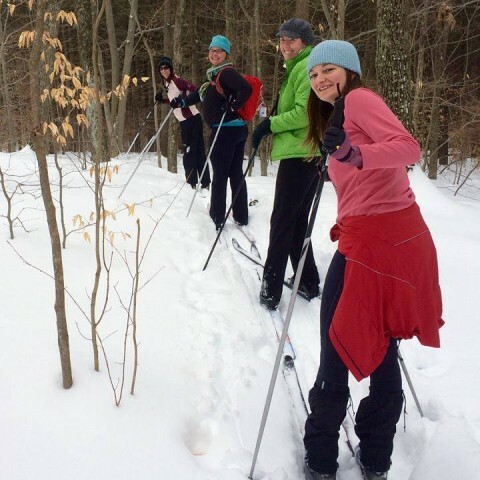 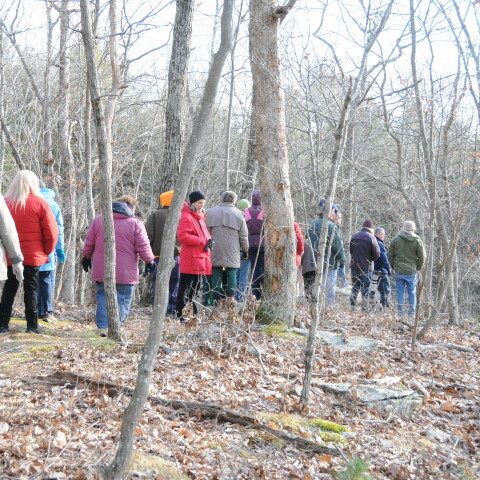 The Killingworth Land Conservation Trust continues to develop an extensive trail system on the property suitable for walking, horses and cross-country skiing. 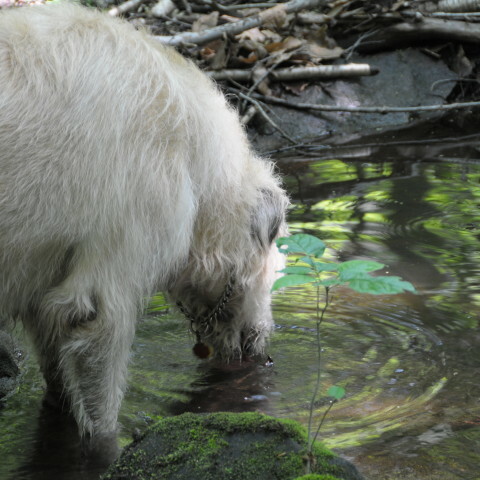 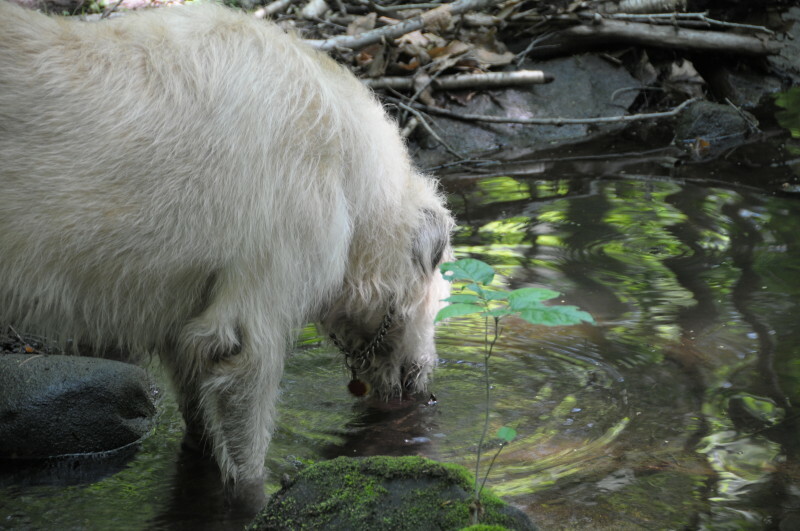 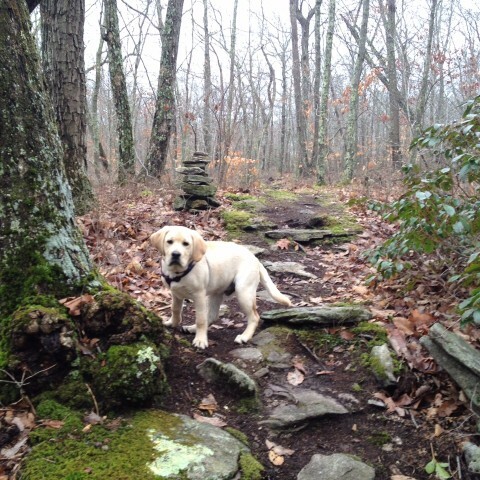 Well behaved dogs are allowed on the trails. 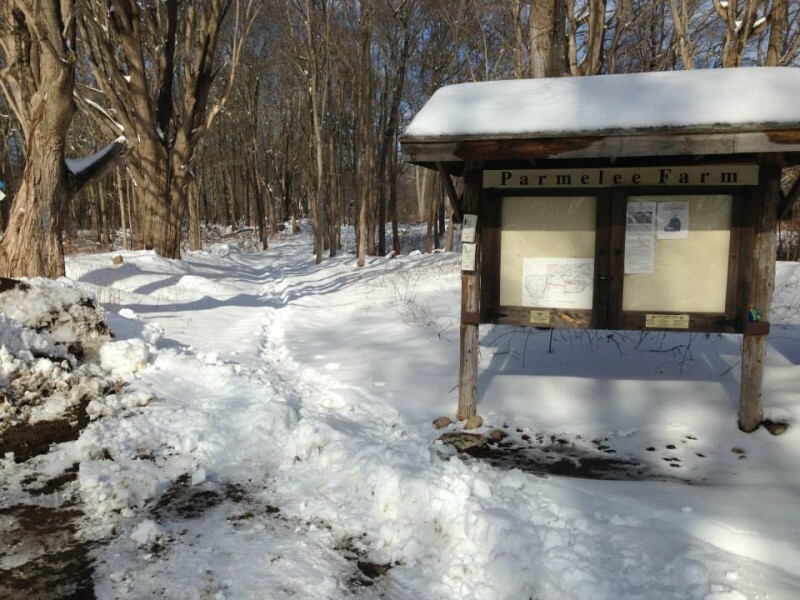 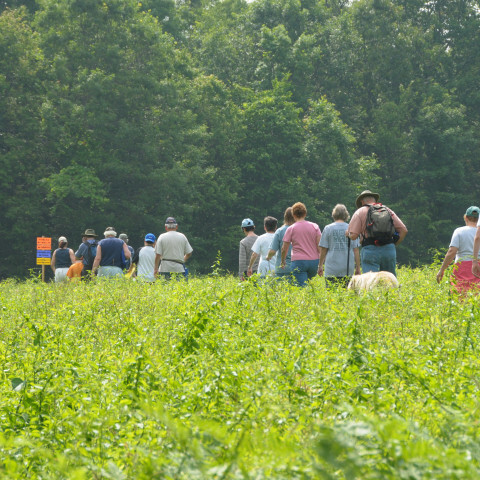 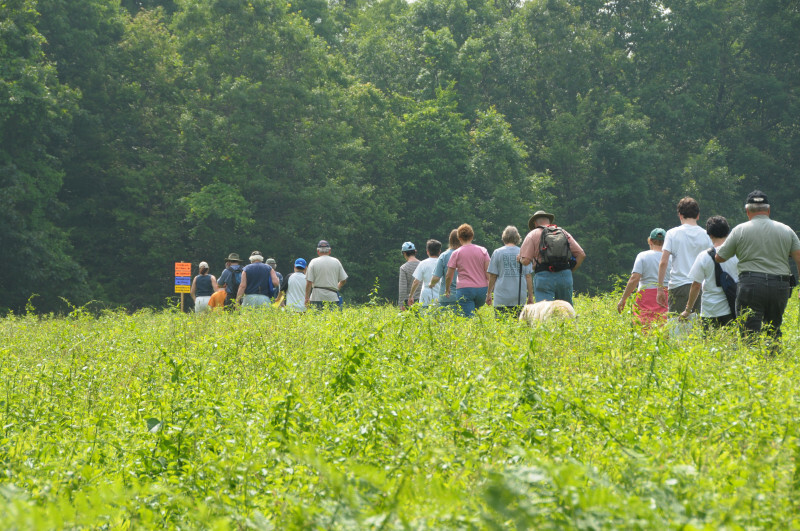 The 132-acre Parmelee Farm is adjacent to Cockaponsett State Forest to the east. 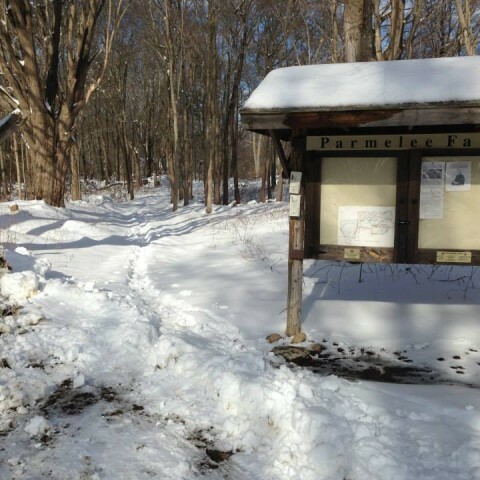 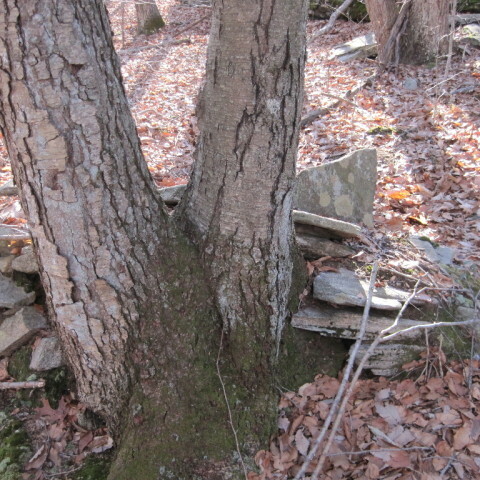 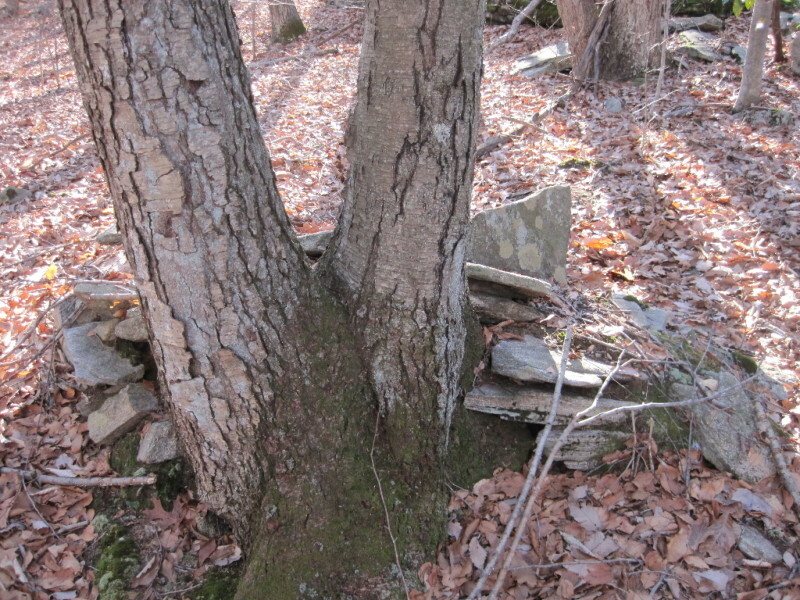 PARMELEE TRAIL, 0.85 mile loop, blue, fairly easy walk, moderate hills, some roots and rocks. 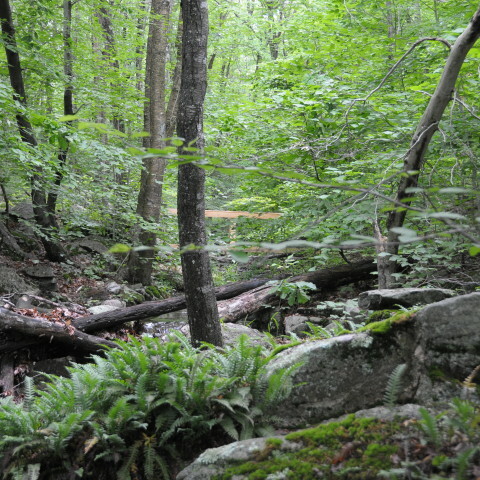 PAVELKA TRAIL, 1.92 mile loop, red, moderate walk, somewhat steeper climbing, rocky sections. 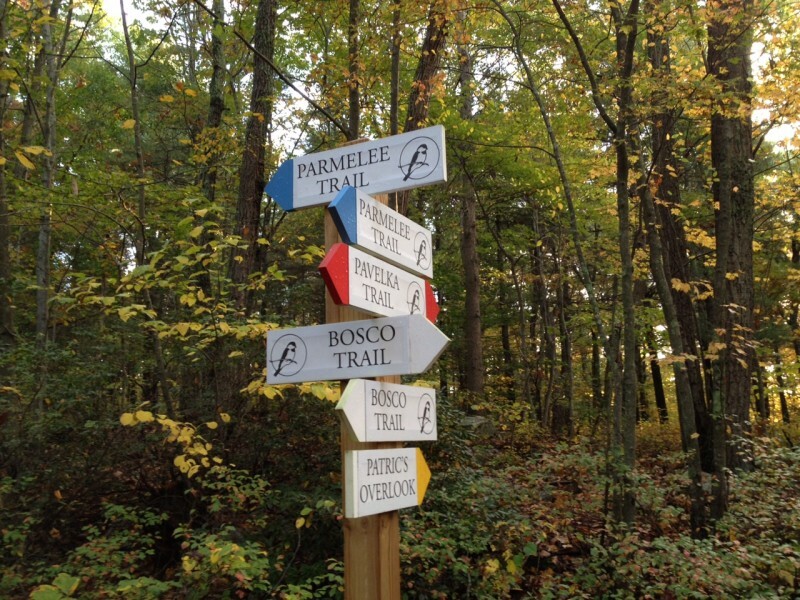 BOSCO TRAIL, 2.59 mile loop, white, moderate walk, a few steeper sections. 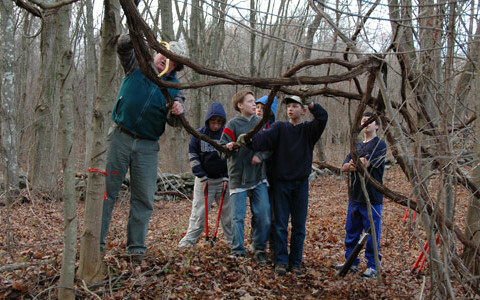 and Platt Nature Center (Roast Meat Hill Road). 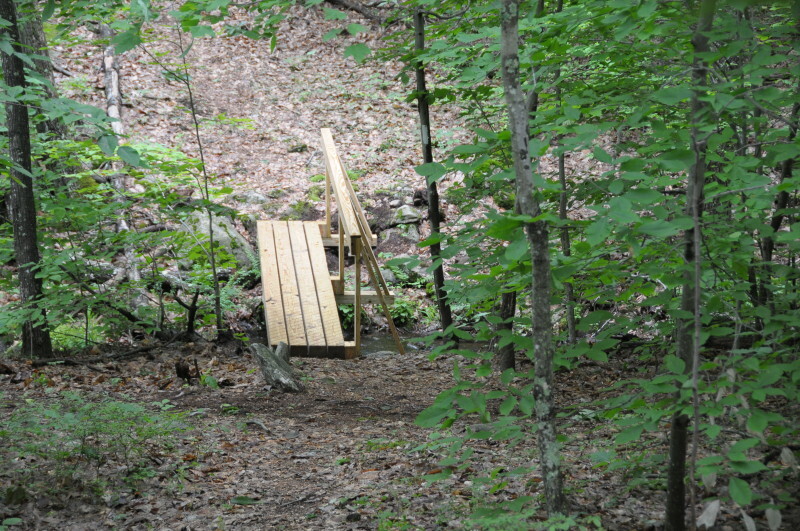 Parking available at both ends of trail. 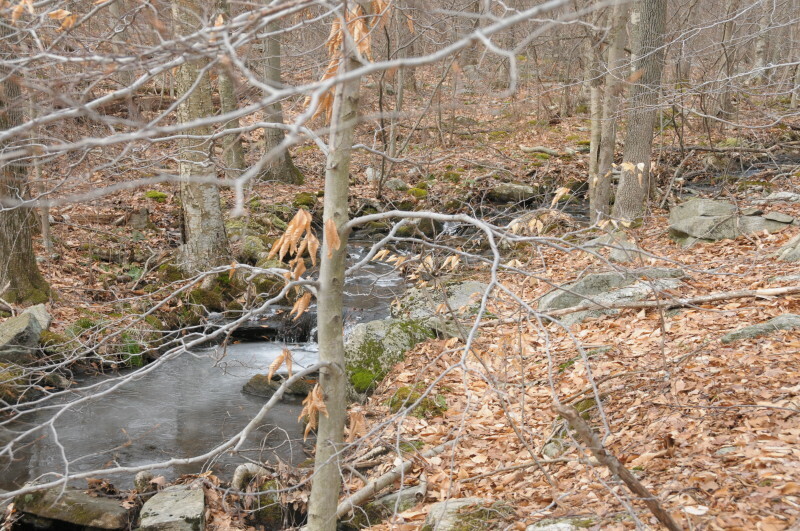 HIRD TRAIL, 0.94 miles, orange, easy walk, a loop from Roast Meat Hill Road or other trails. 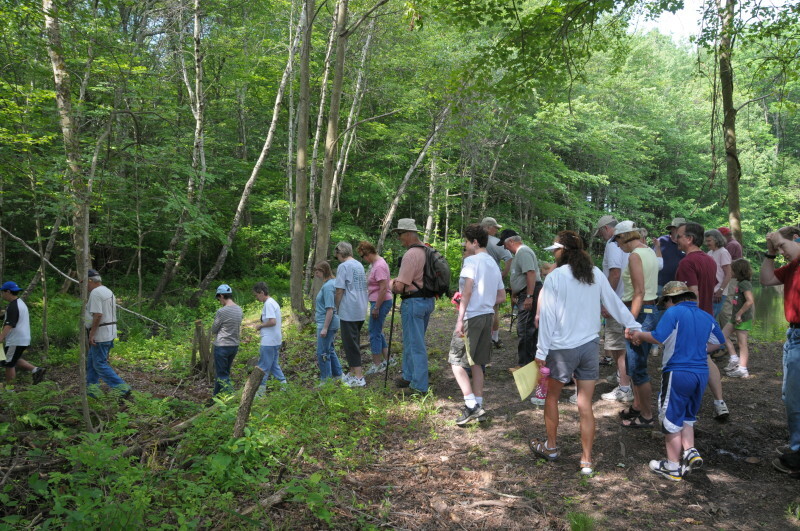 PLATT NATURE CENTER (P.N.C.) 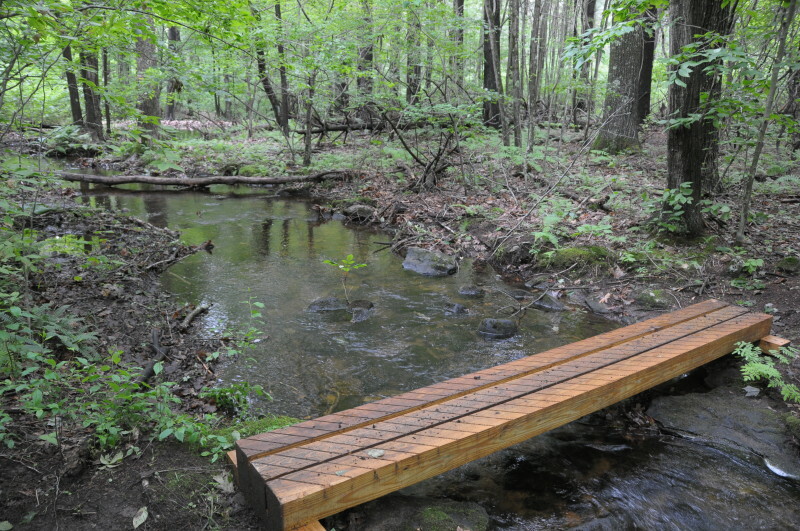 TRAIL, 0.63 mile loop including wetland boardwalk, white. 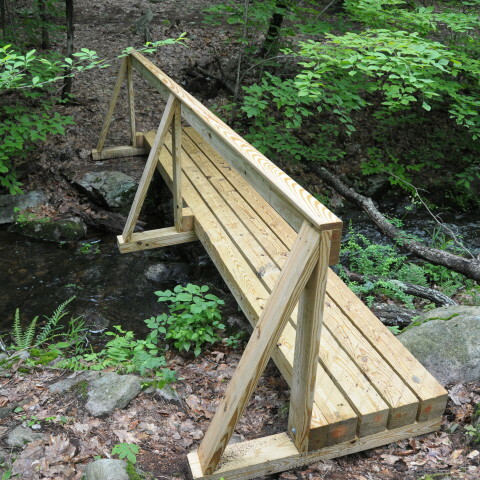 Accessible from P.N.C. 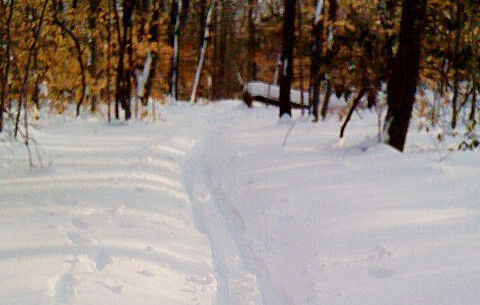 and other trails. 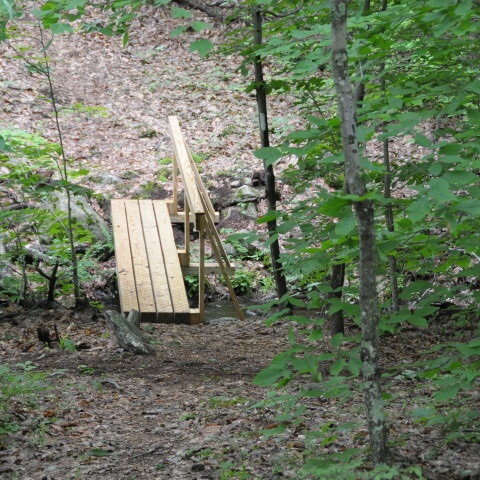 Parking available at P.N.C. 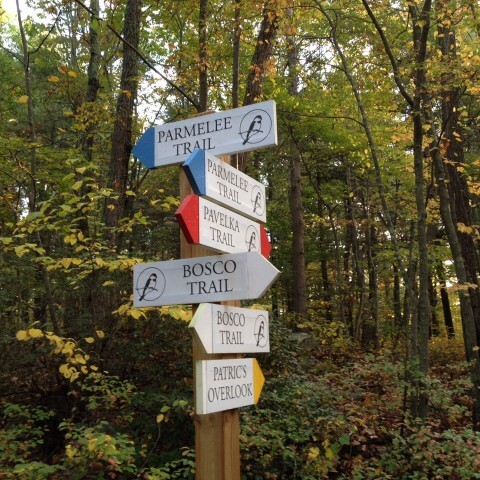 Points of interest/connections, 0.60 miles, yellow, includes Scenic Gorge, overlooks and access trails. 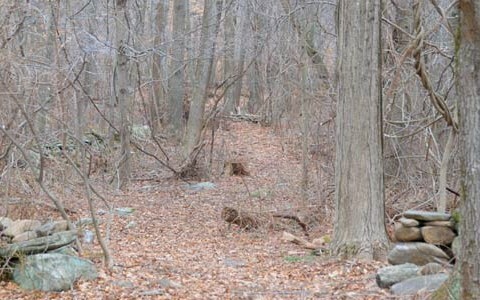 RESTRICTIONS: Motorized vehicles are prohibited. 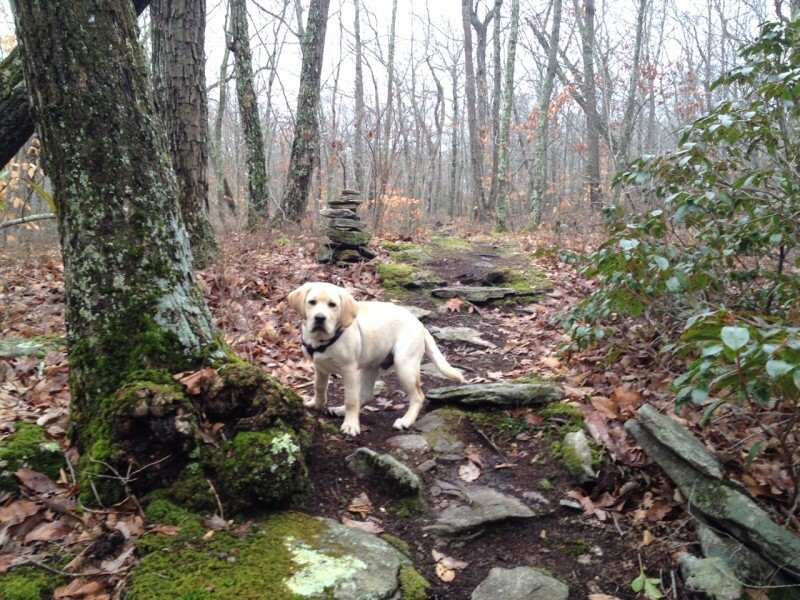 Dogs must be on leash or under owners control at all times. 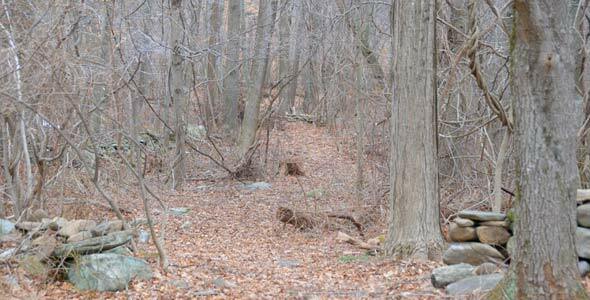 Owners must clean up after their dogs. 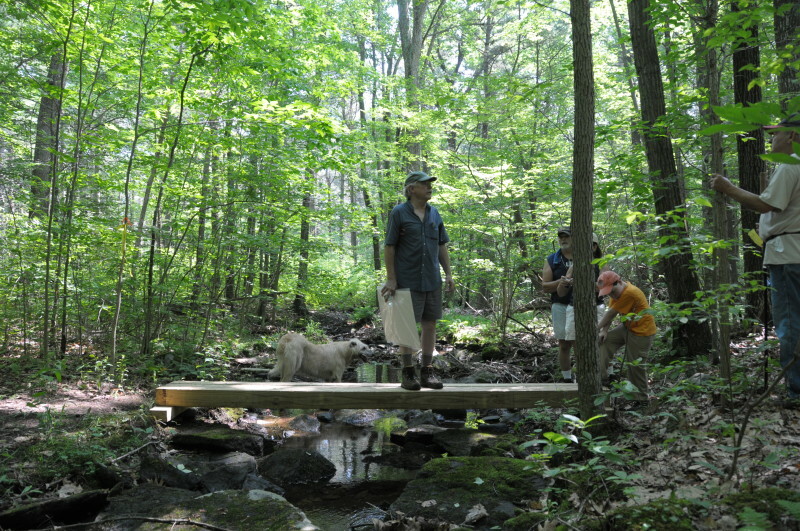 Clean-up bags and stations are provided. 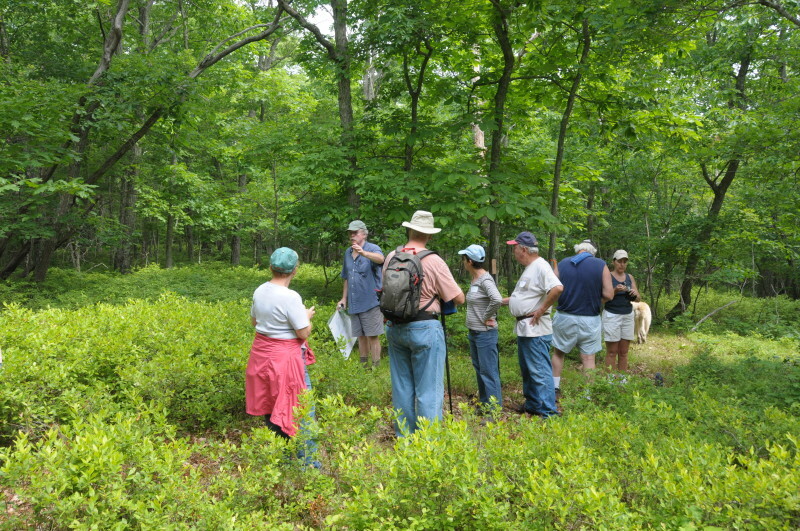 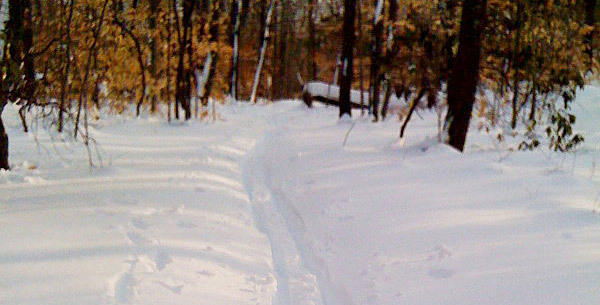 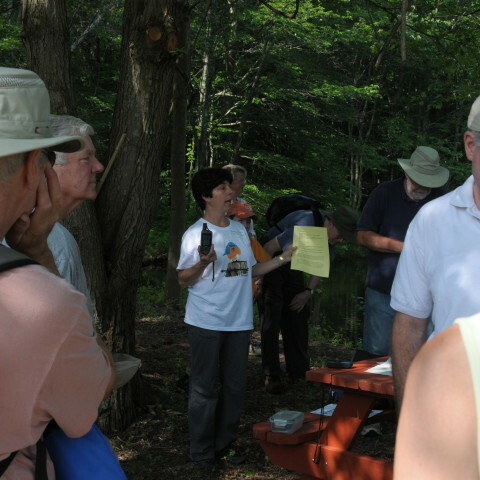 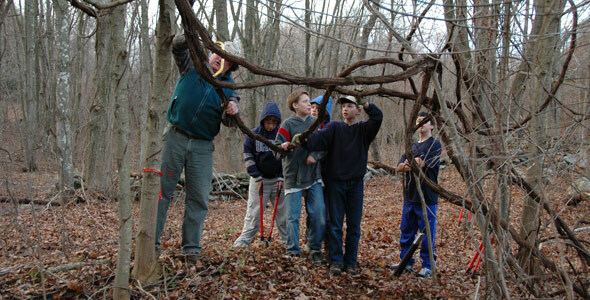 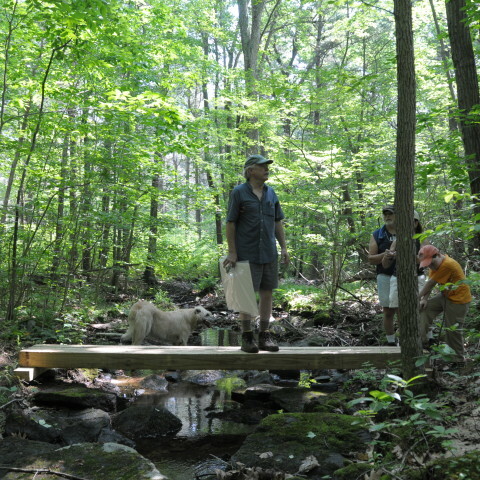 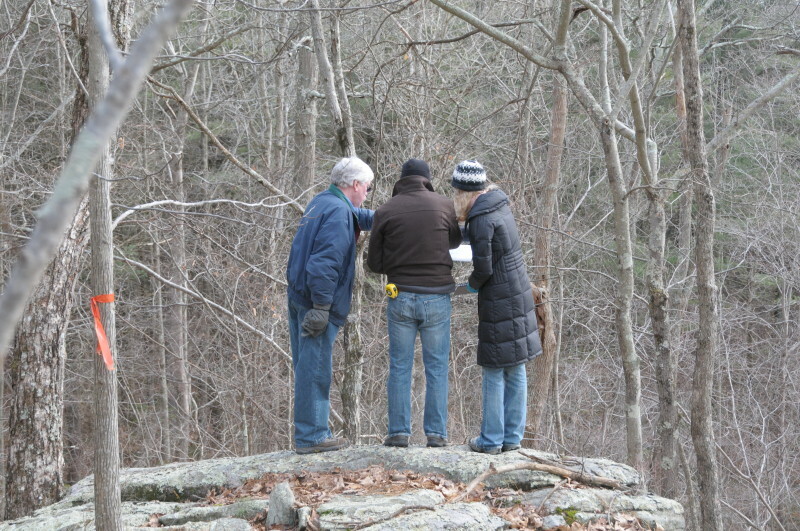 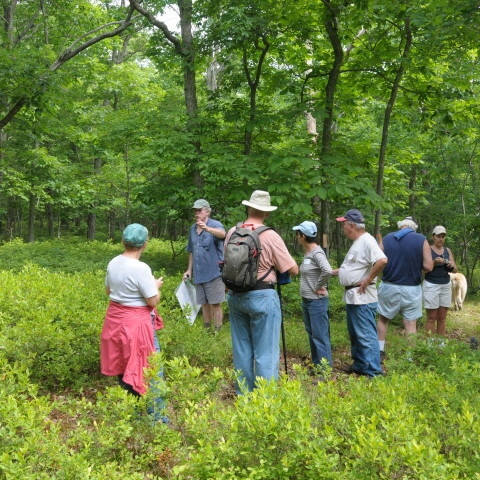 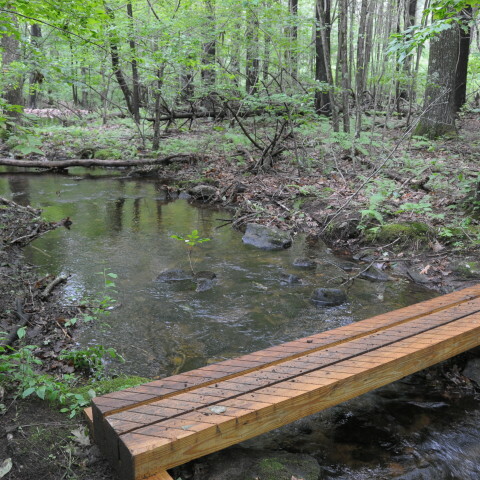 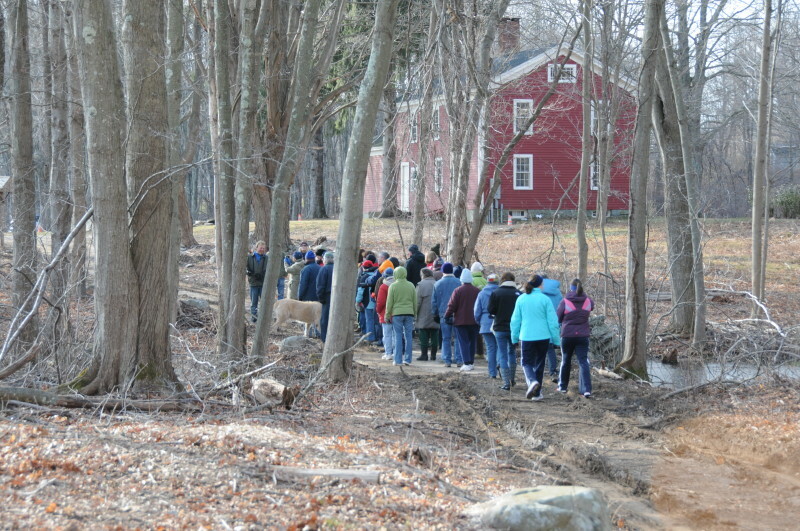 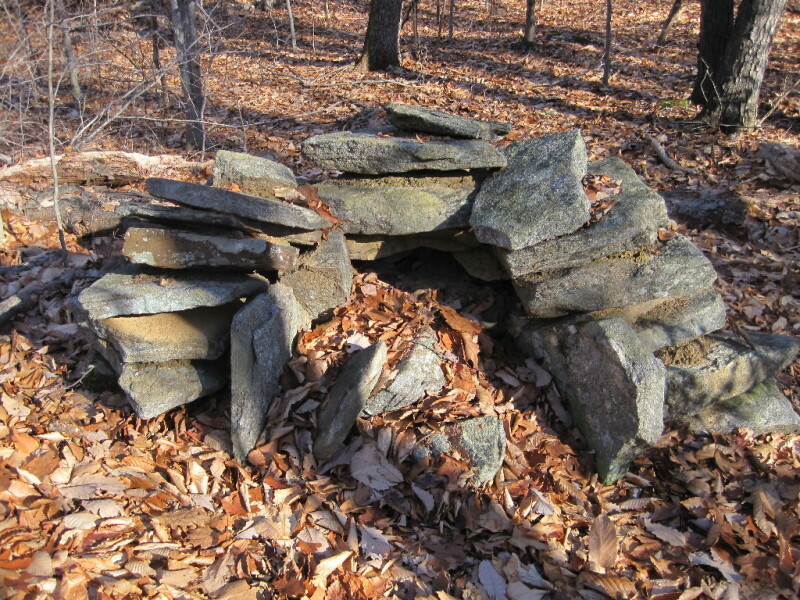 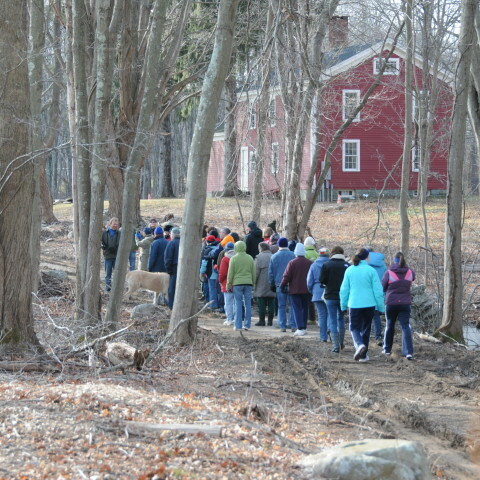 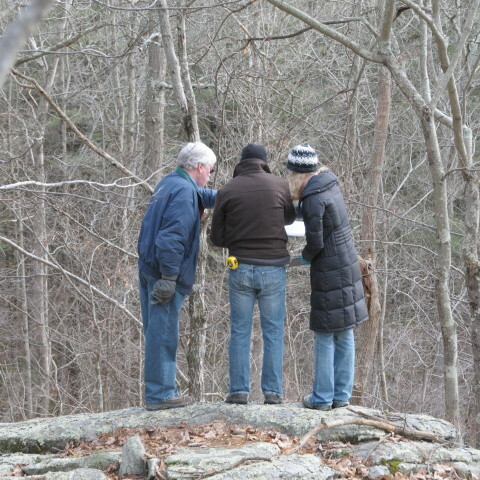 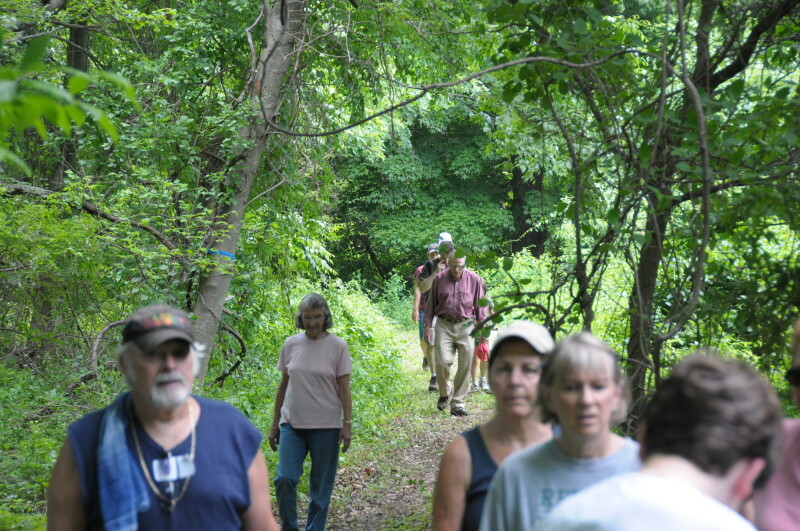 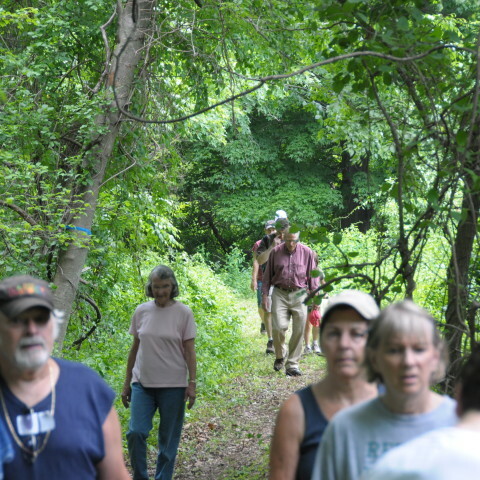 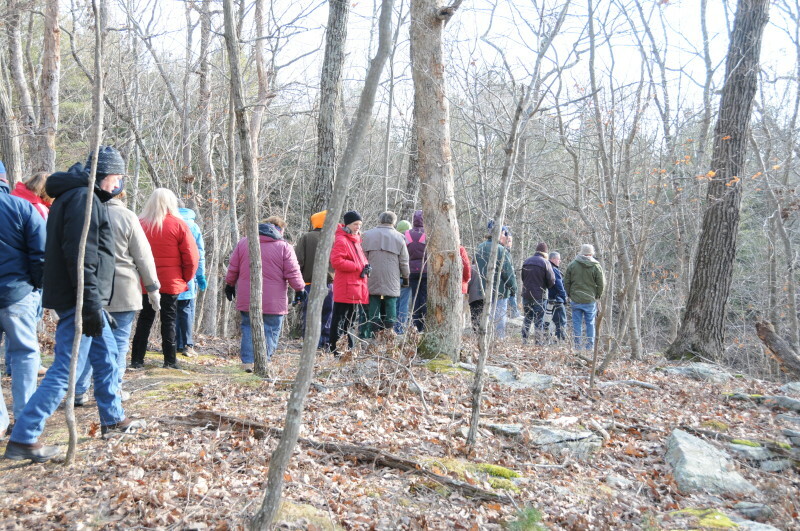 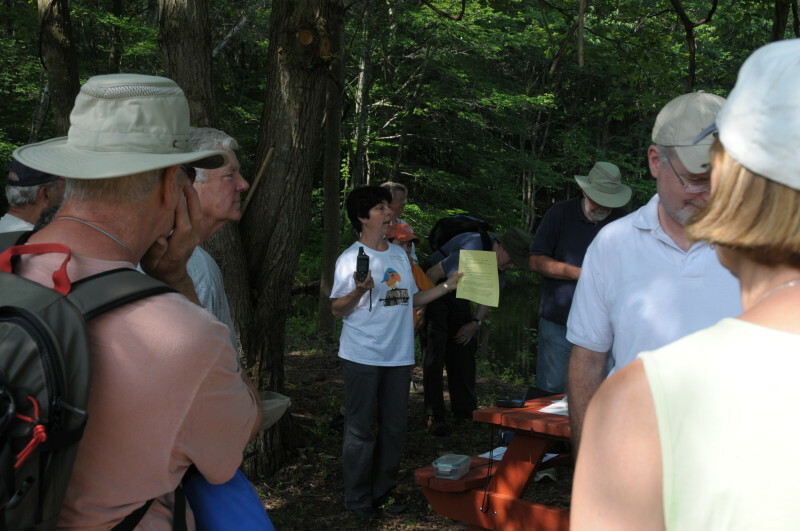 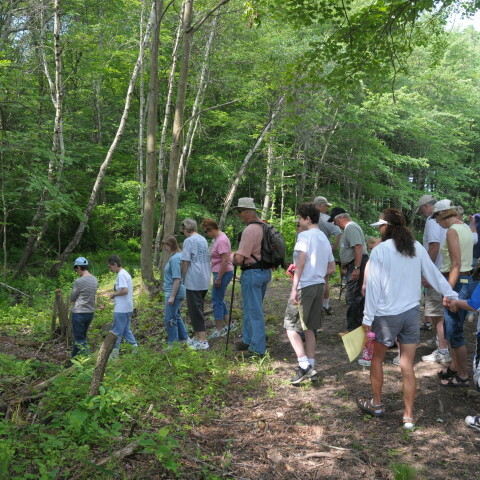 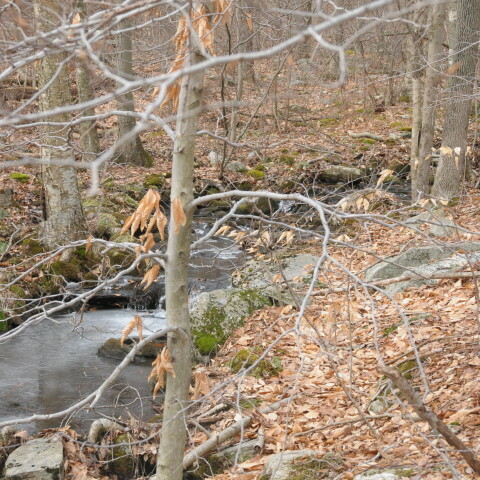 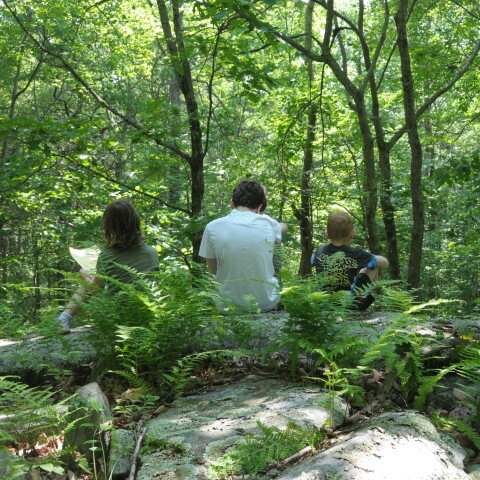 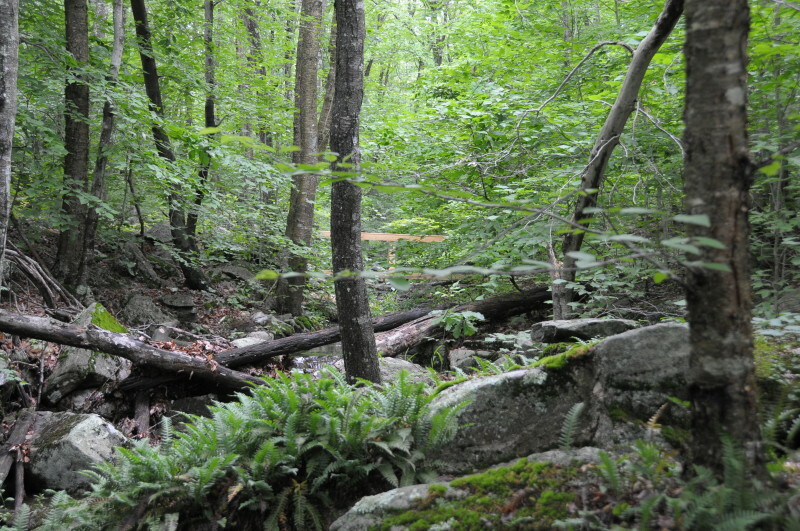 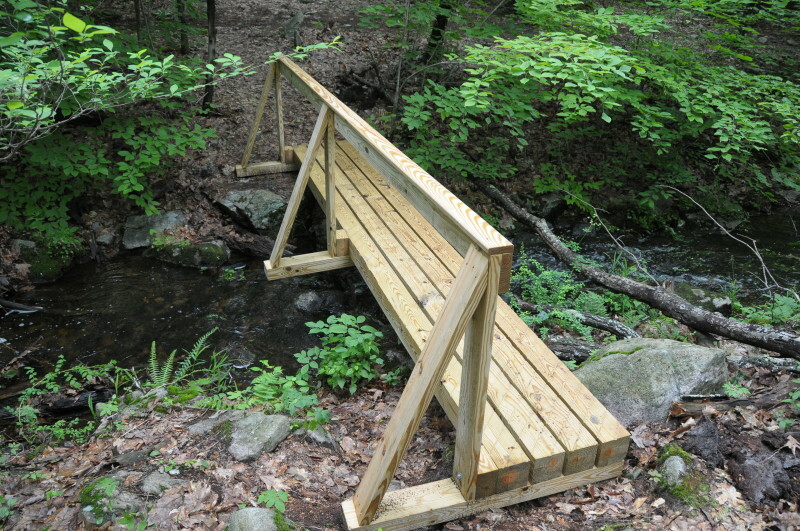 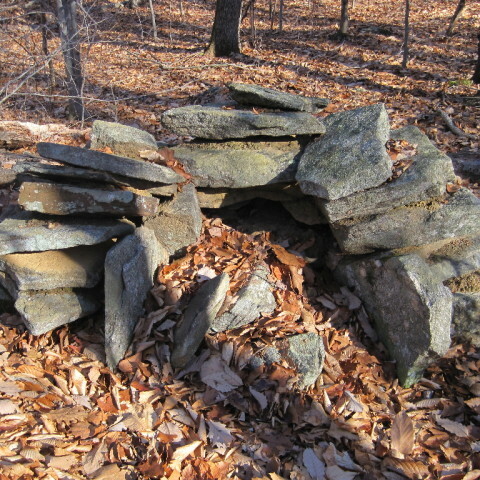 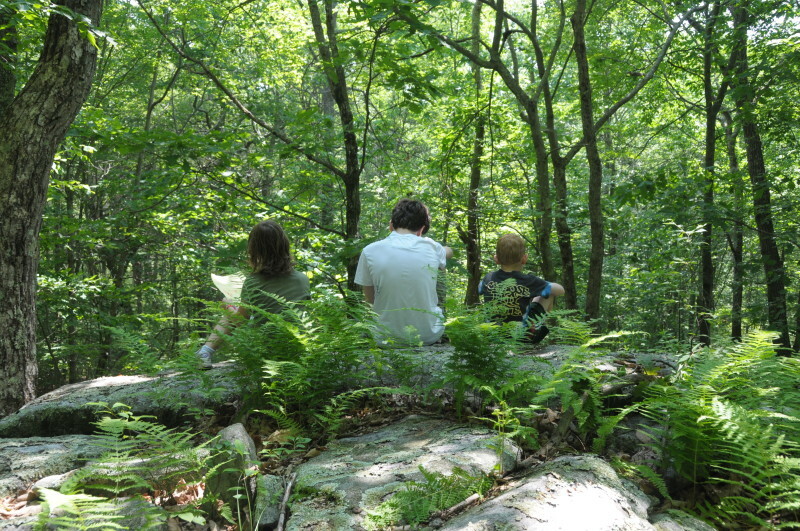 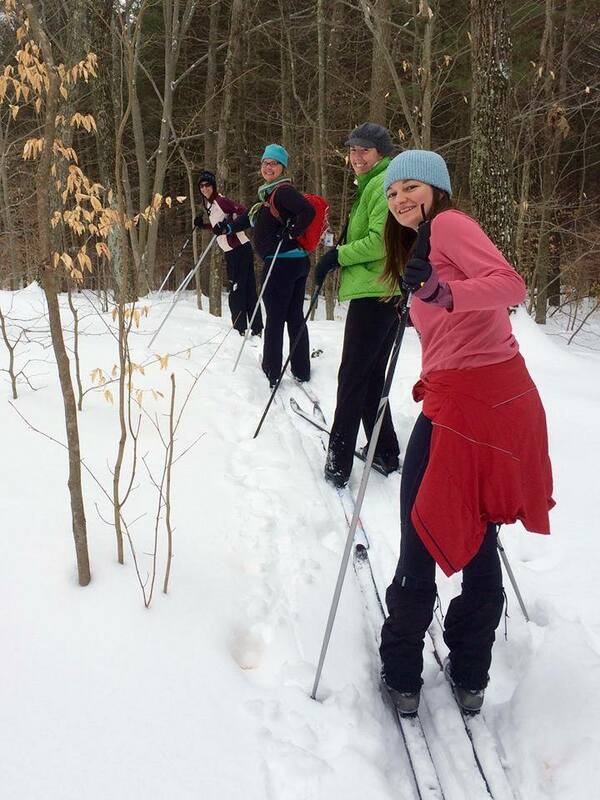 These trails were developed by Bruce Dodson and the Killingworth Land Conservation Trust, Inc.